Hollywood, CA, United States (4E) – “Suits” Season 5 ended with a disheartening scene as Patrick J. Adams’ Mike was seen entering prison to serve time so the star talked about what fans will be expecting for season 6 such as what his relationship with Rachel will be. Many fans have been wondering if the marriage of Rachel and Mike would still push through and how she would deal with going solo in the legal world as well as what Mike’s life is behind bars. It was not clear at first if there would be a time jump or if Mike’s life in prison would be shown so Adams was interviewed at the ATX TV Festival and talked about what fans are most likely to see when “Suits” returns for its sixth season. Adams talked about the plot of “Suits” Season 6 and he shared that there will be no time jump and viewers will watch Mike’s time behind bars. The next installment’s episodes will reportedly focus on the consequences of what happened in season 5 and how Mike will be surviving since there are serious threats such as the people in prison having history with Harvey Specter. These people will reportedly get the opportunity to try and get back at Harvey through Mike. Adams was also asked about the possibility of Mike regretting to come clean. He shared that Mike is a moral character in “Suits” and he made the choice to save himself and his friends from further damage. As for Rachel, Adams shared that Mike and her relationship is on hold but he is excited for her on-screen girlfriend’s future. Adams shared, “When I’m reading the scripts, I love that I finally get to see Rachel be something herself. She’s her own character, she’s getting to go through law school, and deal with her own problems.” He did caution, however, that in “Suits” Season 6, fans won’t get to see a lot of them together but he believes a big reunion will take place once Mike gets out of jail. It is unclear, however, how many episodes will show Mike in jail in “Suits” Season 6 and when he will be getting out. It was reported earlier that a character reset for Mike will take place once he completes his sentence and gets back to the firm. 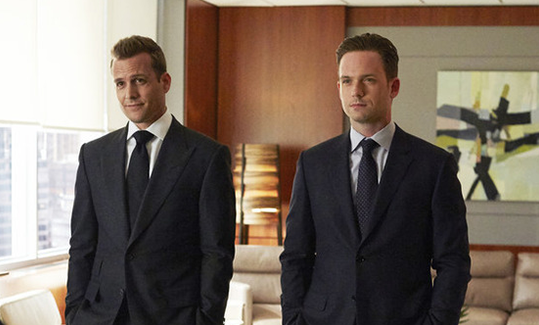 “Suits” Season 6 premiere will be on July 13 at 9 P.M. on USA Network.